2019 RAM 1500 vs 2019 Chevy Silverado Comparison | Gillette WY " "
2019 RAM 1500 and the 2019 Chevy Silverado are both capable pickup trucks. However, which one is the best for your daily needs? To help you make the right decision, we have put together a comparison review that looks at the 2019 RAM 1500 and the 2019 Chevy Silverado in three important categories. The first categories will take at the key exterior features of both vehicles. Next, we will take a look at the interior features. Finally, we will compare the horsepower of both the 2019 RAM 1500 and the 2019 Chevy Silverado. and Deep-tinted glass. While both the 2019 RAM 1500 and the 2019 Chevy Silverado have capable exterior key features, the 2019 RAM 1500 offers more advanced exterior key features than the 2019 Chevy Silverado. The 2019 RAM 1500 offers the following key interior features: 4 Way Front Headrests, Manual Adjust 4-Way Front Passenger Seat, Rear Folding Seat, Air Conditioning, Overhead Console, Passenger Assist Handle, Power Windows with Front 1-Touch Up and Down Feature, Rear Fixed Window, Vehicle Information Center, 5.0-Inch Touchscreen Display, Accent Color Shark Fin Antenna, Cluster 3.5-Inch TFT B&W Display, Remote USB Port, and Uconnect® 3 with 5-Inch Display. The 2019 Chevy Silverado offers the following key interior features: 12-volt auxiliary front power outlet, 3.5-inch diagonal monochromatic Driver Information Screen, 4-way manual driver seat, 4-way manual front passenger seat, 4G LTE Wi-Fi® hotspot capable, 6-speaker audio system, and 60/40 split-folding rear bench seat. Overall, the RAM 1500 offers more technology and convenience interior key features than the Chevy Silverado. The 2019 RAM 1500 comes standard with a 3.6-Liter V6 24V VVT eTorque Engine that offers up to 305 horsepower and 269 foot-pounds of torque. This engine is paired to an 8-Speed Automatic 850RE Transmission. The 2019 Chevy Silverado comes standard with a 4.3 Liter EcoTec3 V6 engine that offers up to 285 horsepower and 305 foot-pounds of torque. This engine is paired to a 6-speed automatic transmission. Overall, the 2019 RAM 1500 offers a more powerful standard engine and more capable transmission than the 2019 Chevy Silverado. 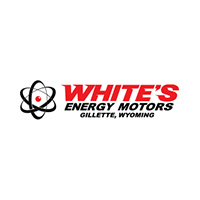 White’s Energy Motors invites you to test drive the 2019 RAM 1500 and see how it compares favorably against the 2019 Chevy Silverado. Our experienced sales team will be more than happy to show you all the capable features of the Ram 1500. Call or stop by for your test drive today.